With the Supreme Court reinstating Alok Verma as the CBI Director on Tuesday, the Congress slammed Prime Minister Narendra Modi saying he had been exposed for “destroying” the Central Bureau of Investigation. “Modi adds another first to his list. After being the first Prime Minister to be exposed destroying the CBI before the Supreme Court, after having ruined the CVC’s (Central Vigilance Commission) credibility (requiring supervision by former SC judge), Modi has now become first Prime Minister to have his illegal orders set aside by the Supreme Court,” Congress spokesperson Randeep Singh Surjewala tweeted. The Supreme Court pronounced its judgment on a plea by Verma and NGO Common Cause challenging the government’s decision taken on the intervening night of October 23 and 24 to divest Verma of his charge as head of the investigating agency and send him on leave. Surjewala said he hoped the judgment would serve as a “lesson” for the PM about the strength of the country’s democracy and the Constitution. “Modiji please remember, governments have come and gone. Integrity of our institutions have survived. Let this be a lesson to you about the strength of our democracy and the Constitution. Let this be a lesson that howsoever despotic you may be, law catches up in the end,” he said. Mr. Modi has now become 1st PM to have his illegal orders set aside by the SC. The Congress leader added: “After making CBI Chief suffer the consequences of your illegal decision for three months, will you show the courage to return three months of lost tenure? Unless you are afraid of investigation into Rafale scam. Congress leader Abhishek Manu Singhvi, however, questioned the Supreme Court verdict asking what had changed now. “Before the Supreme Court verdict; Alok Verma didn’t have powers of CBI Chief, couldn’t take any decision on policy or investigation. After Supreme Court verdict: Ditto,” Singhvi tweeted. Before the Supreme Court verdict; Alok Verma didn’t have powers of CBI Chief, couldn’t take any decision on policy or investigation. After Supreme Court verdict : DITTO !!! Echoing his views, senior advocate Prashant Bhushan described the Supreme Court order to reinstate Alok Verma as the CBI Director as a “partial victory”. “The Supreme Court has today quashed the government’s decision and the CVC’s (Central Vigilance Commission) decision to divest Verma of his powers as the CBI Director and they have restored him as CBI director,” Bhushan told the media outside the court after the judgment. Bhushan is one of the petitioners for the Common Cause NGO, which challenged the order sending Verma on leave divesting him of all powers. “But strangely, quashing the orders divesting him as CBI Director and despite restoring him, the court has said that he will not take major policy decision till such time that this high powered committee comprising the Prime Minister, Leader of Opposition and Chief Justice of India meets and considers the matter,” he said. Delhi Chief Minister Arvind Kejriwal accused the Modi government of ruining all institutions and democracy in the country, and said the Supreme Court order reinstating CBI Director Alok Verma was a “direct indictment of the Prime Minister”. SC reinstating CBI director Alok Verma is a direct indictment of the PM. Modi govt has ruined all institutions and democracy in our country. Wasn’t CBI director illegally removed at midnight to stall the probe in Rafale scam which directly leads to PM himself? Former Jammu and Kashmir chief minister Mehbooba Mufti said it was high time the Centre stopped misusing agencies like the CBI and the NIA for “political vendetta”. “Time for the Central government to stop misusing its influence to arm twist investigative agencies like (the) NIA and CBI for political vendetta”. The CPI(M) said Modi should resign. “The Supreme Court judgement reinstating the CBI Director #AlokVerma shows how the Modi government has subverted and subordinated every single rule and norm in the functioning of institutions like the CBI, to suit its narrow political interests,” the party posted on Twitter. While restoring Verma’s powers, the SC said the matter would go to the selection committee that would look into the issue. 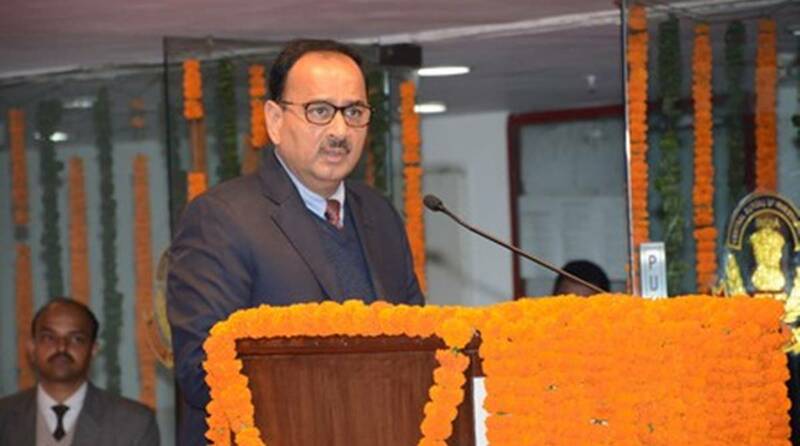 Alok Verma’s two-year term as CBI Director ends on 31 January.